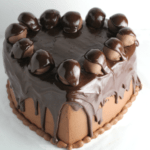 When I first started dabbling in cake decorating, I kept hearing all this talk about how great ganache was. It looked complicated with all the ratios and everything, so I sort of procrastinated getting on the bandwagon. Oh, I was so wrong. It’s really not complicated. In fact, it’s only two ingredients and once you know the ratios, it’s super simple. 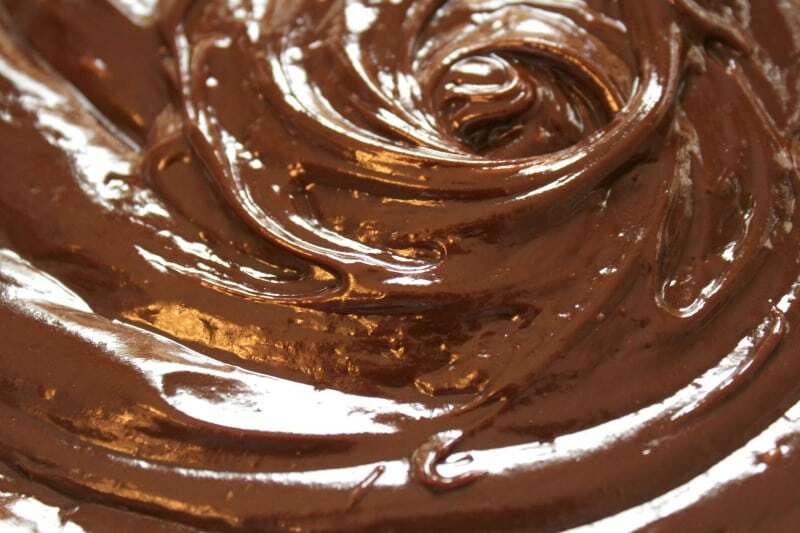 So, today I’m giving you my tips on how to make ganache. Ganache is so versatile. You can change up the ratios to it and use it for various applications. You can up the ratio of chocolate to cream, so the ganache will get nice and firm. 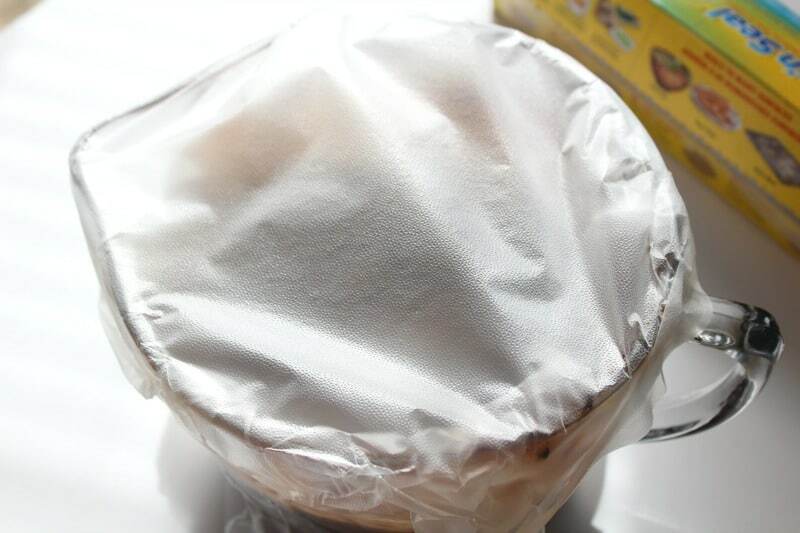 This is great for the final coating on your cake, or under fondant. In fact, I almost always use it if I’m decorating a cake with fondant. After your ganache has set up, you can take it and whip it with your mixer. It fluffs right up and then you can ice your entire cake with it or just pipe onto your cake. It’ll still firm up a bit after it sits, but it makes for a sturdier icing. I like to add about a cup of confectioner’s sugar when I’m whipping the ganache. It adds a little sweetness to it. 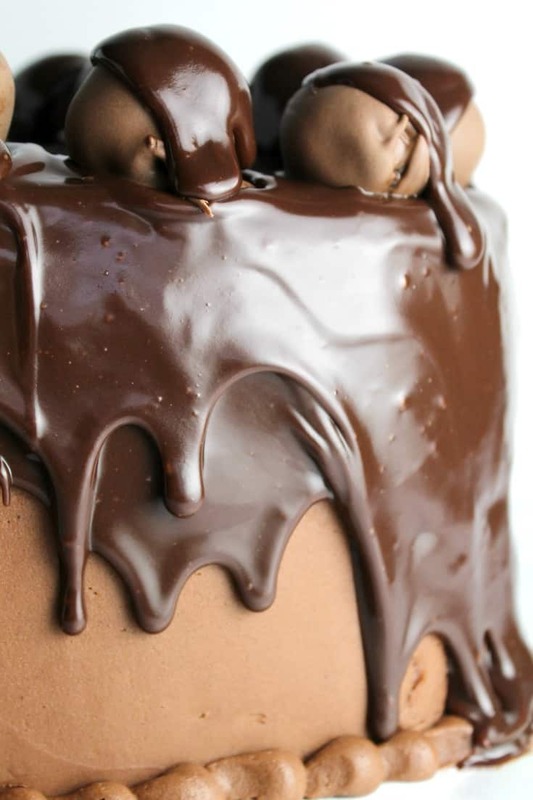 This is the ganache that gives you that dripped effect on cakes. There are different ways you can achieve this, but what I like to do is lower the ratio of chocolate to cream. I like to go with either equal amounts chocolate and cream, or with a 2:1 ratio, depending on which chocolate I’m using and whether I want the drips to firm up. You’ll then pour it slightly warm over your chilled buttercream iced cake. You can also pour it over un-iced pound cakes and it’s super delicious that way as well. First, you want to make sure to get a good quality chocolate. Now, I will tell you I don’t really have access to a place that sells great chocolate in my area. When I was taking orders for clients, I would sometimes order my chocolate online…specifically my white chocolate. Here’s why: Most white chocolate you can buy at a grocery store doesn’t actually have cocoa butter in it, therefor it’s technically not chocolate. So, while I could make the milk or semi-sweet chocolate I had access to work okay for me, I sometimes needed to order the white chocolate online. If you go this route, make sure the white chocolate that you order, actually has cocoa butter in it. 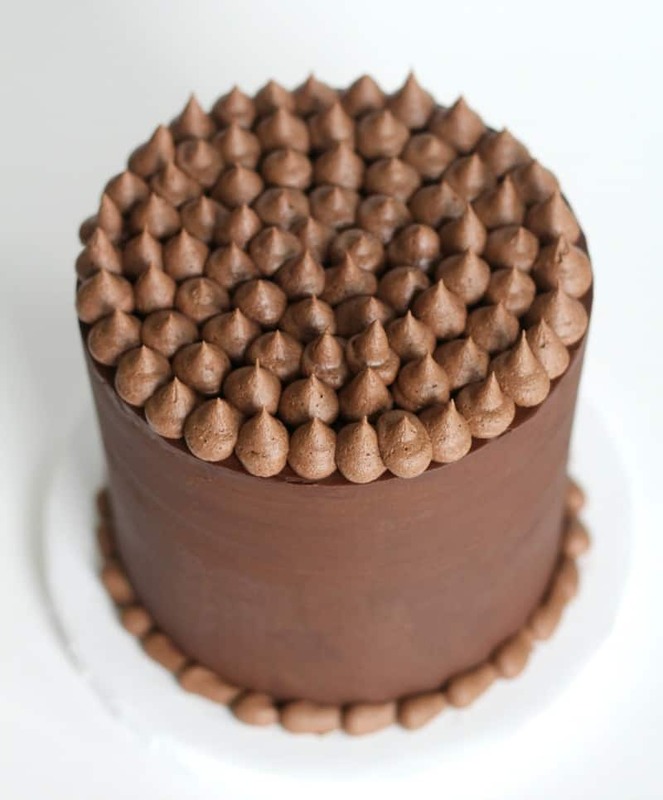 Now, this is controversial because most cake decorators will tell you not to use chocolate chips you can find at the store and that you MUST use expensive chocolate. Well, I have not found that to be ‘completely’ true. Yes, if you want the highest quality product, you should make the expense for the good stuff. In some areas though, people are just not willing to pay that price though and that’s totally okay. I have been able to successfully make ganache with grocery store chocolate chips. I’ve had the best luck with ghirardelli chips, but not as much luck with Nestle. I’ve also successfully made white chocolate ganache using the ghirardelli white chocolate bars and the chips. Here’s the caveat though…Sometimes it turns out and sometimes it doesn’t. But here’s the next shoe drop…you can use quality chocolate and sometimes the ganache still splits. That can happen. Sometimes you can repair it by adding a bit more hot cream or a bit of Karo syrup. Sometimes you just have to try again. It happens to the best of us, so don’t feel like a failure. I promise, you’re not. So as I said before, ganache isn’t really a set recipe. It’s basically just ratios of chocolate to cream. You NEED a scale. Don’t try to do this with volume measurements. You need the weight of each ingredient for this to work properly. So the million dollar question is…If I know the ratios, then how do I know how much ganache I’ll need and how much of each ingredient? Well, the long answer is, you’ll get a feel for it the more you do. The short answer is that there is a super helpful spreadsheet that I’ll link to. I found this on a cake decorating forum and it is fantastic. It’s called the Ganacherator. Here is a link to her facebook page where she publishes the Ganacherator. Click here for the Ganacherater. 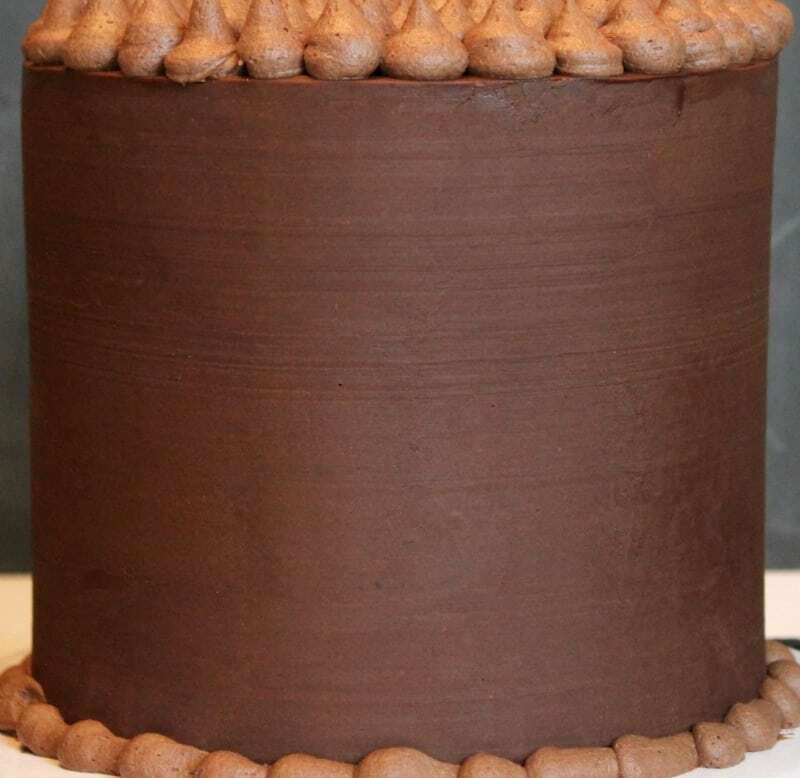 You just plug the dimensions of the cake you plan to make and it fills in the amounts for you. Super awesome right? It’s one of those things I wish I had invented. Here’s my tip: I usually need a tad more than the spreadsheet calls for, so I always round up a bit, just to be safe. Sometimes I also adjust it slightly depending on what type of chocolate I’m using. You’ll get a feel for it, the more you make it. 1:1 Ratio of chocolate to cream. 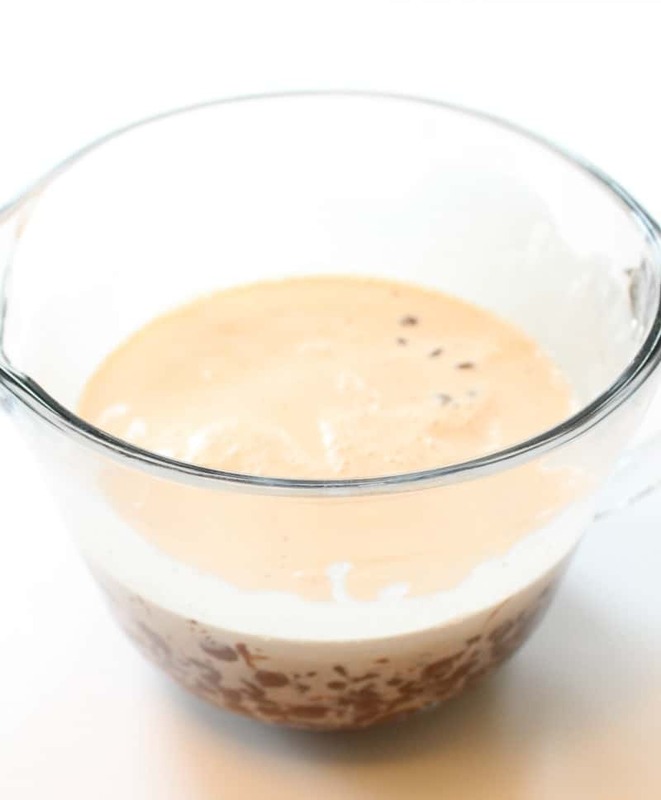 You can use 2:1 ratio of chocolate to cream if you want it a tad firmer or if you’re using white chocolate. Weigh out your chocolate. 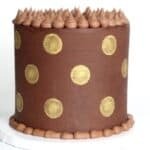 Let say I’m going to cover a six inch round cake that will be around 5 inches tall and I’m filling it with buttercream, not ganache. 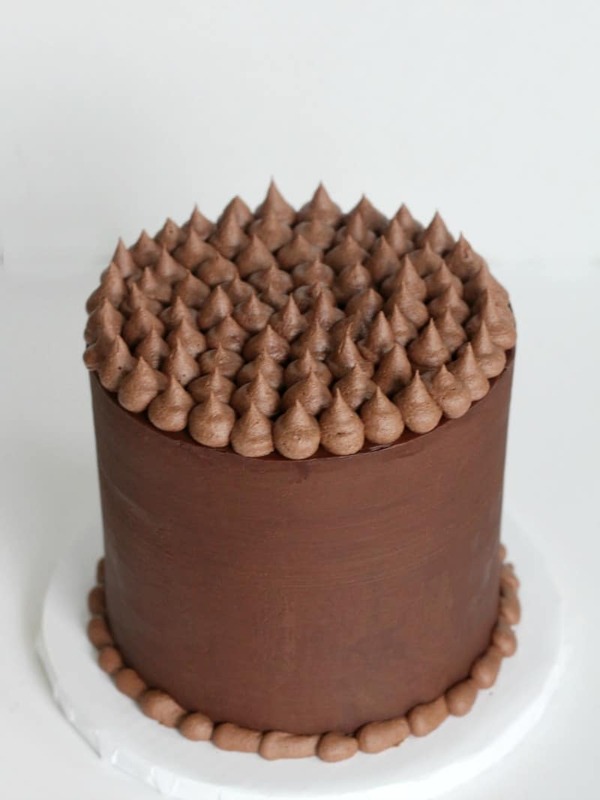 For the cake above, I also wanted to add some whipped ganache piping on the top and bottom, so I made extra. I used semi-sweet chocolate, so I used the 2:1 ratio of chocolate to cream. First, weigh out 36 ounces of chocolate. Put your empty bowl on your scale and zero it out (tare it). You don’t want the weight of your bowl to be on the scale, you need it to be zero. 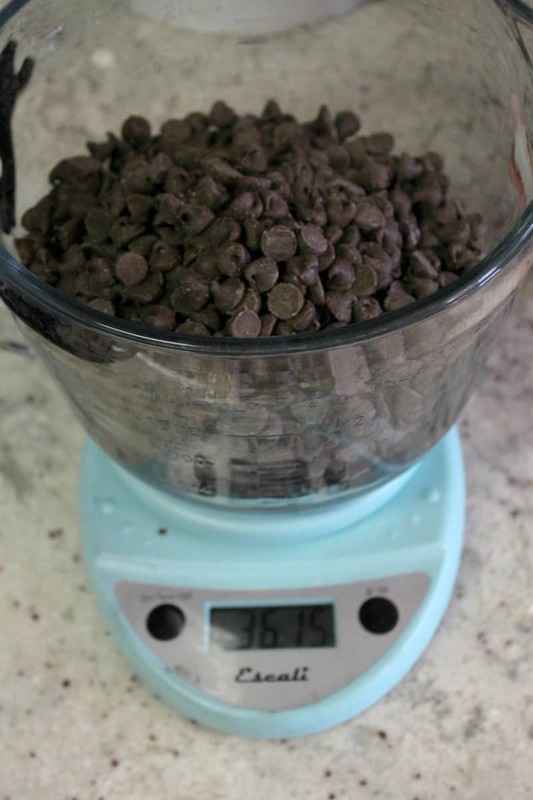 Now add your chocolate to get the amount of ounces you need. Now, take another bowl or a saucepan and set it on your scale. 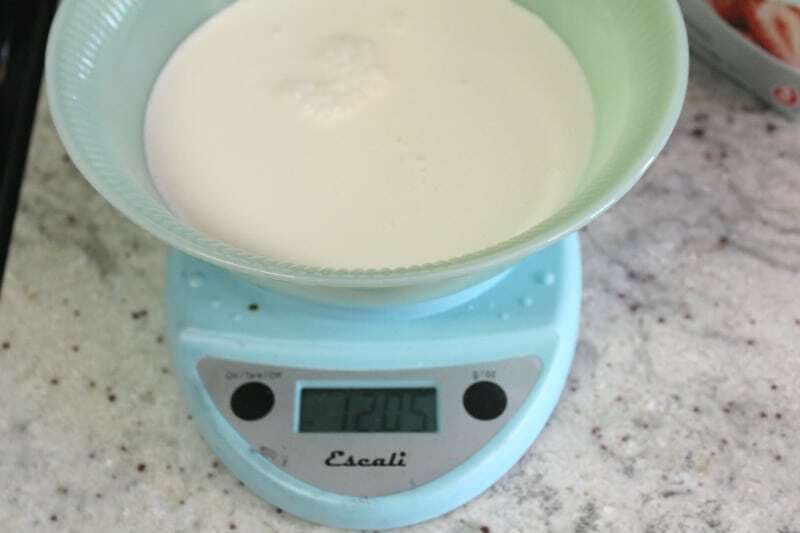 Zero out the scale and add the cream in the weight you need. I used about 18 ounces. 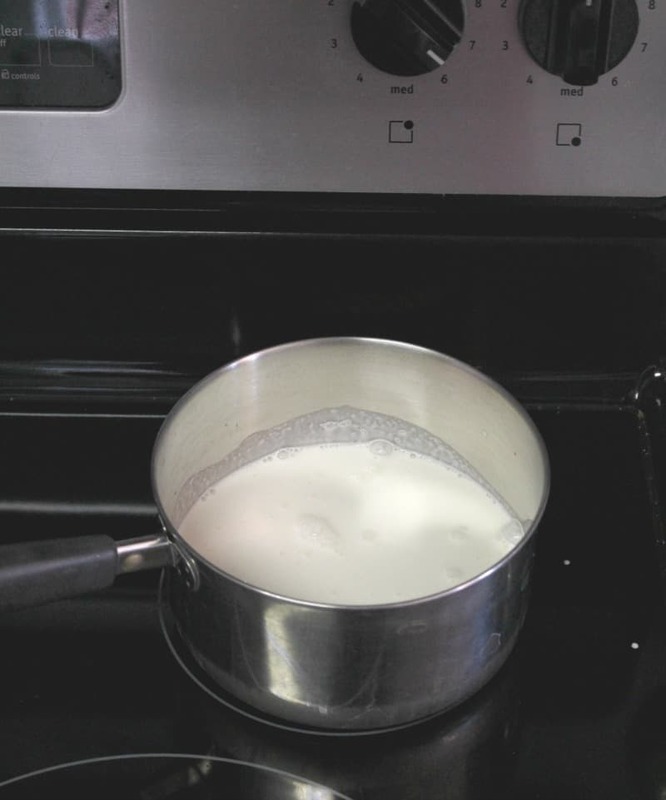 Heat your cream in a saucepan until it’s almost boiling, then remove from the burner. You could use a double boiler, but I don’t because I’m kinda lazy that way. Plus this method has worked fine for me. As long as you don’t turn your burner on super high heat and scorch your milk, it’ll be fine. Slowly pour your hot cream over the chocolate. Make sure the bowl you’re using is tempered. Let it sit there for a couple minutes, then stir. Your chips will probably not be completely melted at this point. If they aren’t, just put your bowl into the microwave, and heat for only about 20-30 seconds. Stir your ganache and let it sit for a couple minutes to see if the chips have fully melted. You may need to do this step a couple of times. Don’t overheat your ganache though. Let it sit for a few minutes between heatings. Sometimes it takes the chips a bit to melt fully. At this point, I let it sit for about ten minutes and then cover it with plastic wrap. Next I just cover the top of the bowl and let it sit out on the counter over night to set up. At this point, it’s too thick to spread onto your cake. That’s good news because that means once you heat it a bit, spread it on the cake, then it will firm up the way you want it. To spread it onto your cake, you’ll want to heat your ganache up a bit. You don’t want it like it was before it set up, but you want it more of a peanut butter consistency. 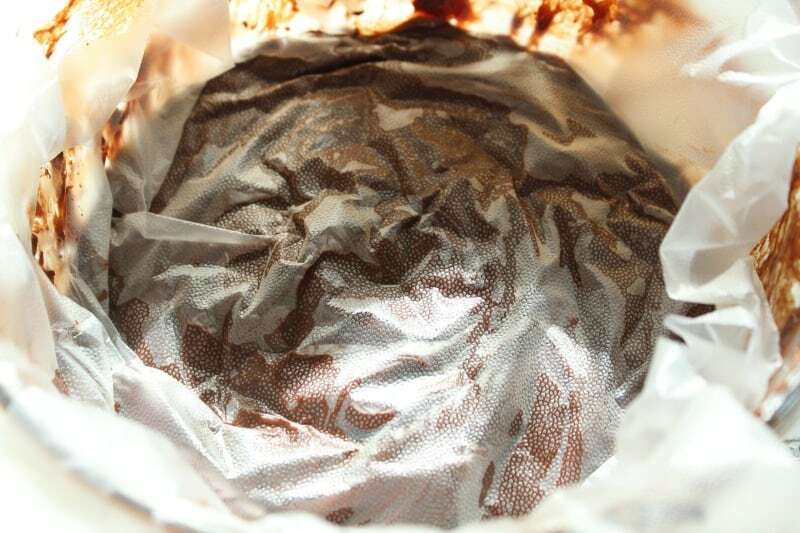 Put your bowl of ganache into the microwave and heat it for only about 30 seconds at a time ONLY ON MEDIUM (50%) power. Mix after each heating. You’ll have to do this several times. The bottom of the bowl is going to heat up faster than the rest, so you’ll need to make sure you mix it up between heatings. Once you get it to about peanut butter consistency, you’ll be ready to ganache your cake. That’s it! Seems complicated, but it’s really not and it’s actually quite simple to put together. 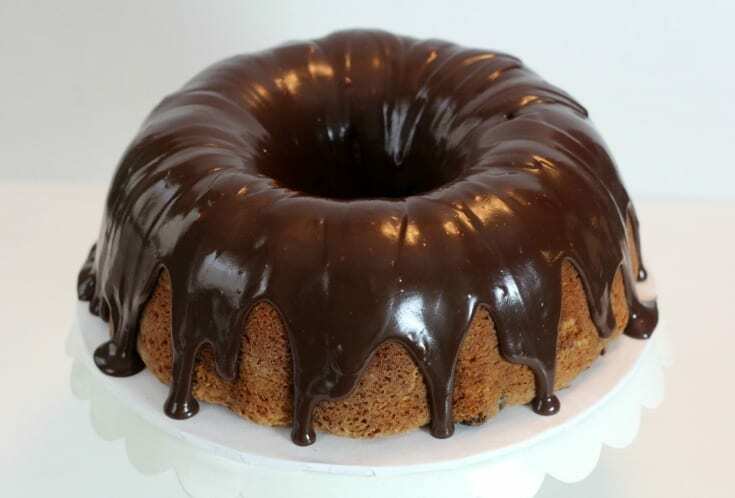 It actually takes me less time to make ganache than it does buttercream. 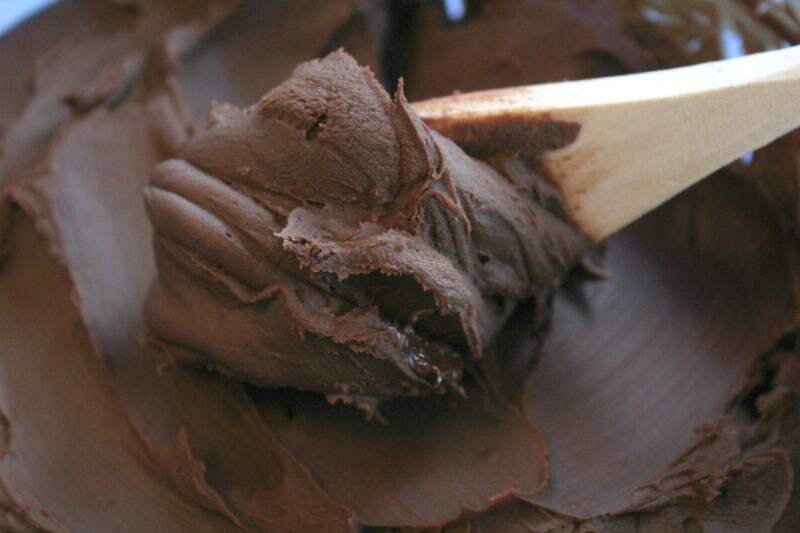 Remember, ganache can be a little finicky, so leave yourself some time for error, or in case you need to remake it. No, that doesn’t happen every time, but occasionally the ganache universe says your time is up and you get a split ganache. If it happens, you can try adding a tablespoon of corn syrup (Karo syrup), or adding a bit more cream and then let it set up again. Sometimes that will fix a broken ganache. 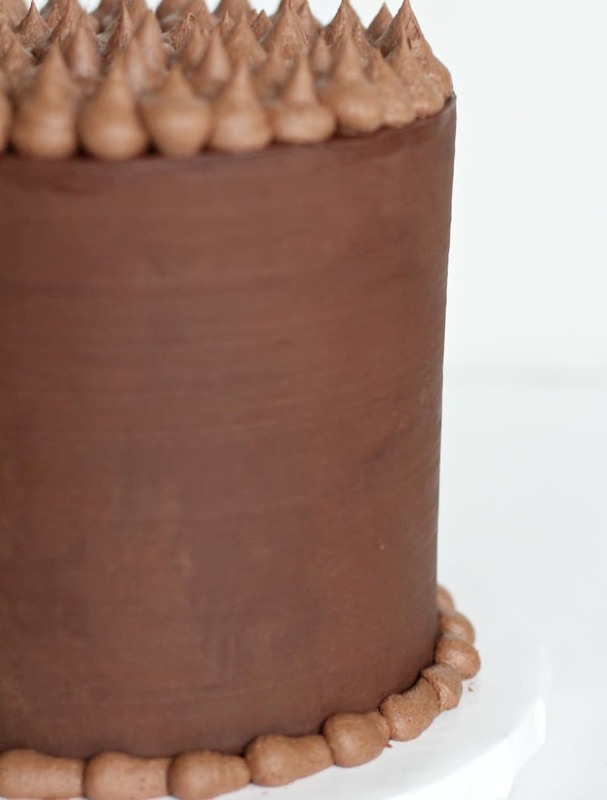 Now, head on over to my post on How to Ganache a Cake. 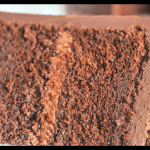 It’ll show you the easy way to get perfectly straight smooth sides on your cakes. Plus there’s an actually video there to show you the process. 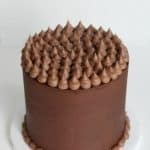 And if this information was helpful to you, you can check out my course Cake Decorating Fundamentals: The Nitty-Gritty Basics of Buttercream Cakes.